Unique Tile and Marble Center offers eco-friendly tiles as well as, a natural renewable resource in the form of Greentiles. We have over 20 highly recognized suppliers. To get a full view of all our suppliers and their products, feel free to visit our showroom where we house all the latest trends in contemporary and traditional tiles. Our diverse line-up of products is well suited for different project levels, from entry to custom. No order is too small or too large. Our goal is to work closely with you to determine and create an environment that is a reflection of your needs. We pride ourselves in meeting budgets and scheduling requirements. Our staff works closely with you to when it comes to your budget, design, and expectations. Take note that we do not offer tile installation. However upon request, we will refer you to a list of licensed and highly-skilled tile contractors, who frequently do business with us. 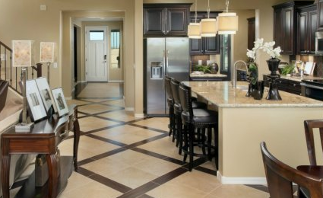 Contact us today in Rockville, Maryland, for affordable ceramic tile products and durable tile flooring.